Arcade style button loop/sample player with studio quality sound. Easy to use. Tap out your own beats using the best sounds from modern and vintage drum machines, synths and keyboard. Simple, clean arcade style button interface makes for a quick start to playing sounds. No need to learn how to program or sequence a complicated interface- just load a bank and start tapping, creating and grooving. Eight banks of studio quality uncompressed audio included. Plug in Hi-Fi headphones or audio system to play the full rich deep audio. A portion of sales benefit Nickels 4 Natives, a non-profit organization dedicated to helping Native people and lands recover from the devastating effects of Uranium mining. 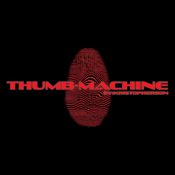 Please note: We are dedicated to our users and are working on solutions for a future version of Thumb Machine that will include: Air-play, inter app recording, midi triggering for use as a controller, and DJ/Producer/Musician exclusive content, and expanding our soundboards with more instruments. We would love to keep this project growing and evolving with your constructive feedback. We are listening.